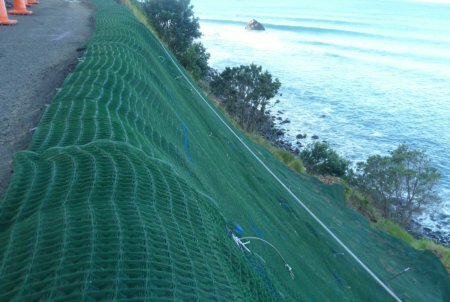 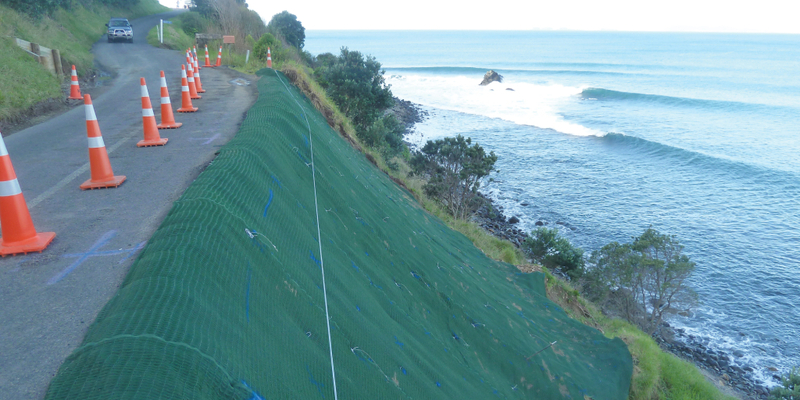 Pyramat® turf reinforcement mat allows the use of eco-friendly and aesthetically enhanced vegetated surfaces on steep slopes, swales drains and channels where previously unsightly hard armour systems were required. 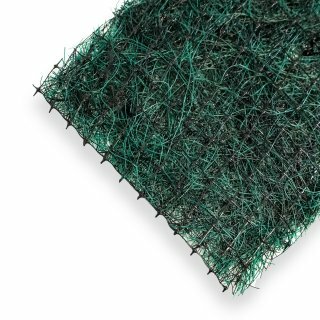 Pyramat 2nd generation high performance turf reinforcement mats (HPTRM’s) feature a patented matrix of X3® fibre pyramids that keep soil in place under high flow conditions. 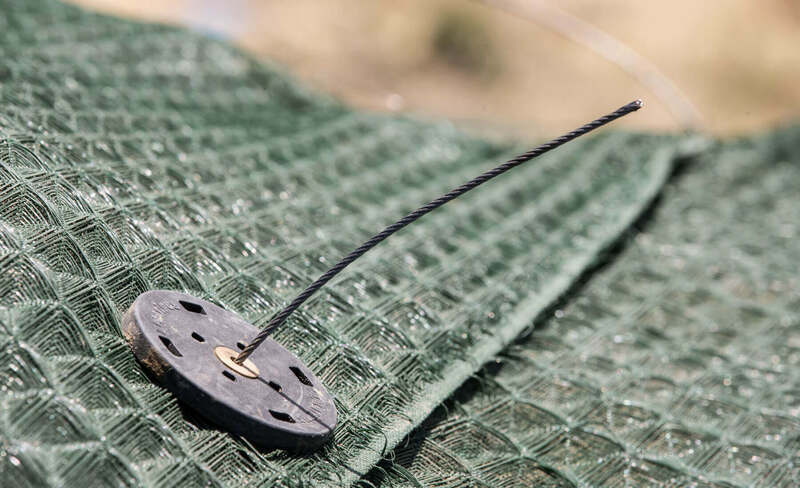 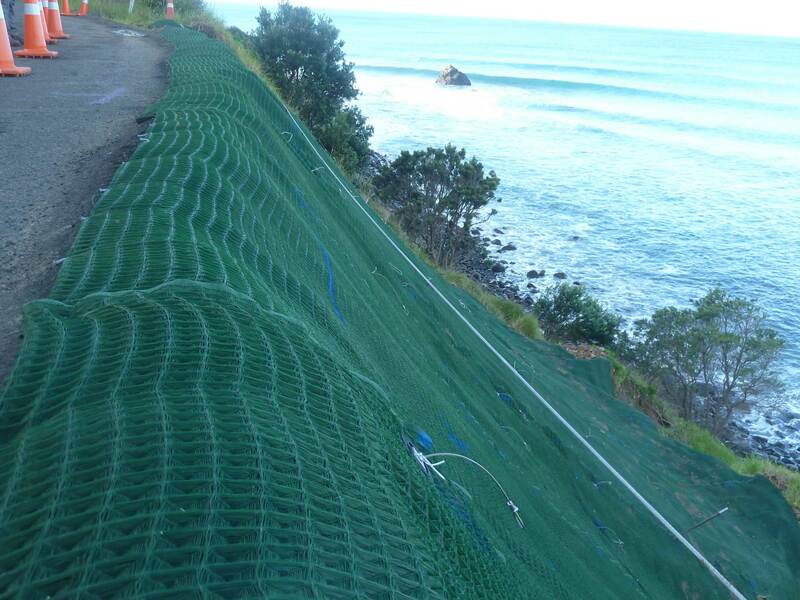 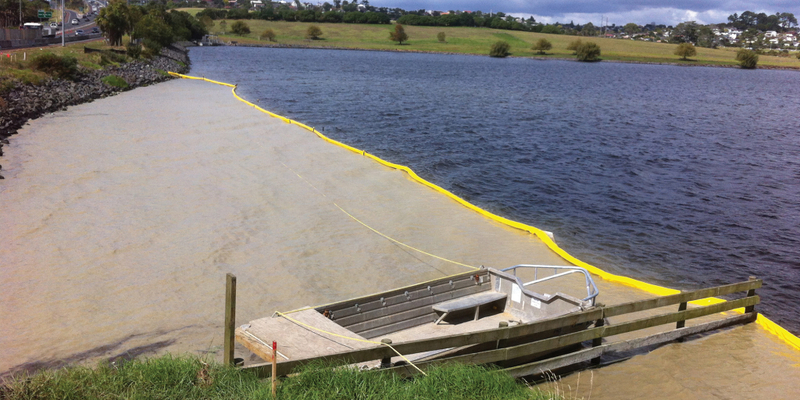 The unique woven construction can provide up to ten times the tensile capacity of other synthetic erosion mats with even greater shear capacity, improved UV resistance, longevity and enhanced flexibility. 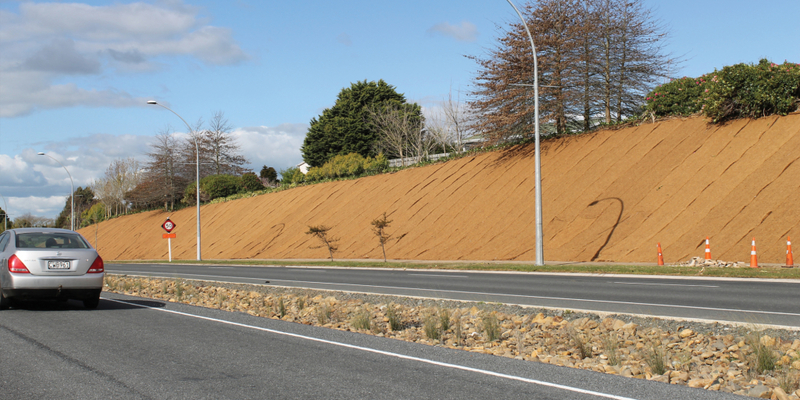 Pyramat is widely used in extremely demanding applications to prevent erosion and scour. 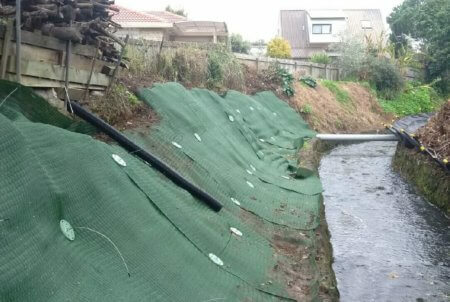 Pyramat can be used to reinforce vegetation in channels and swales to provide a maintainable, green soft armour solution in place of a rock or concrete option. 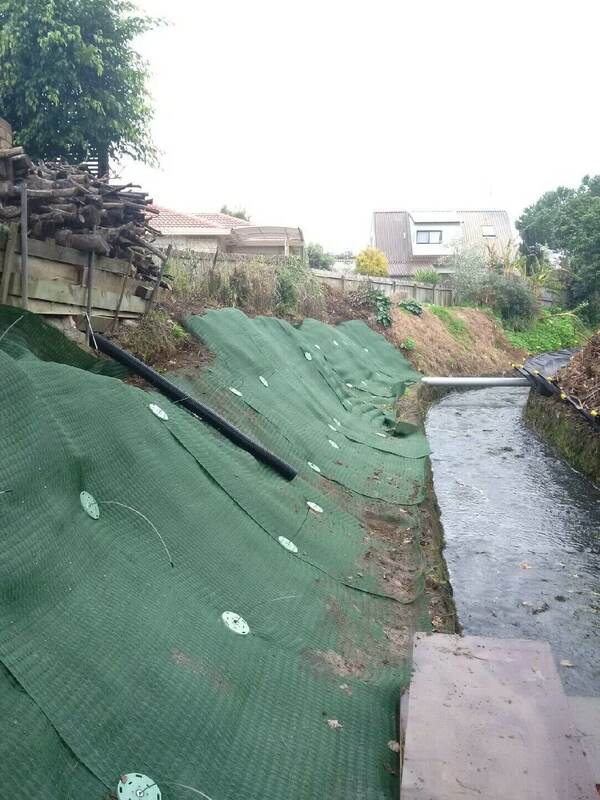 The use of vegetation in channels and swales also helps to retain waterborne sediment preventing them from entering our waterways. 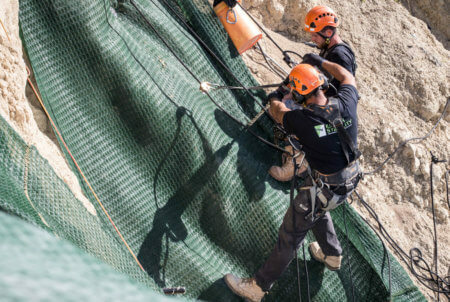 For more demanding applications on steep slopes, high velocity channels or overflow channels, Pyramat can be secured using Ground Staples or the Platipus ARGS® anchors for the more demanding applications on steep slopes, high velocity channels or overflow channels. 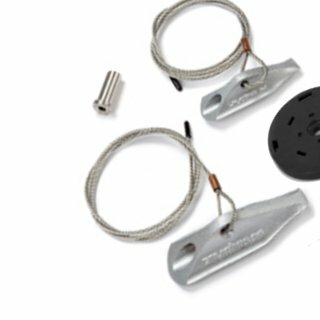 Pyramat® and X3® are Registered Trademarks of Propex Operating Company, LLC. 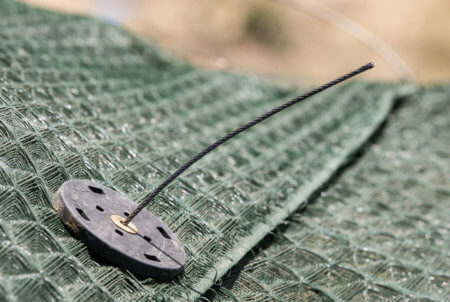 Registered in the United States. 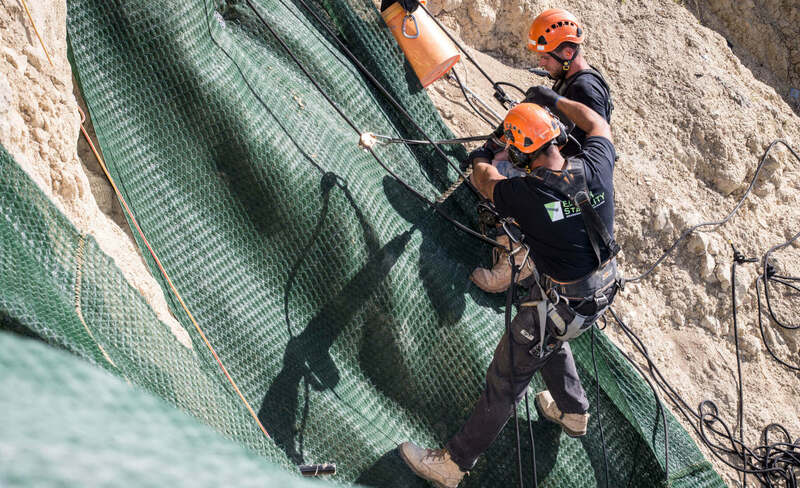 Platipus® and ARGS® are Registered Trademarks of Platipus Anchor, registered in England.